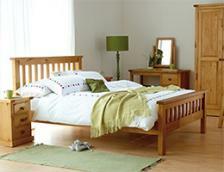 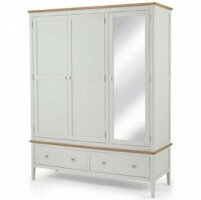 The elegant and compact wardrobe and chest of drawers come together in one compact package. 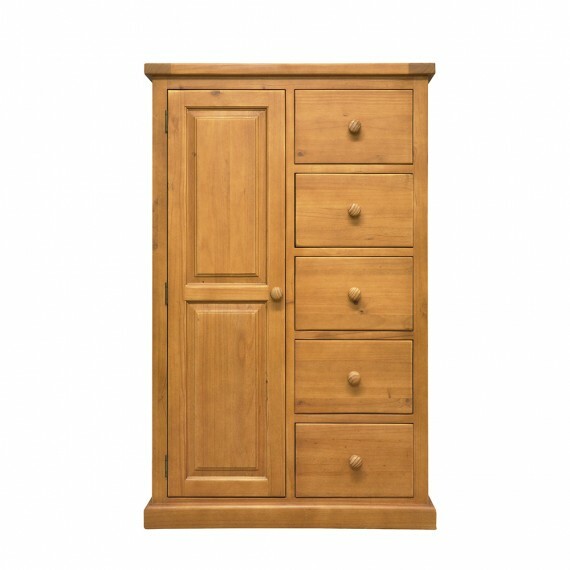 Perfect for guest room, children's room and small rooms, the Chunky Pine combination wardrobes features a hanging space on the left side and five deep storage drawers with pine handles on the right. 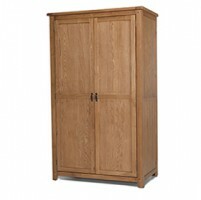 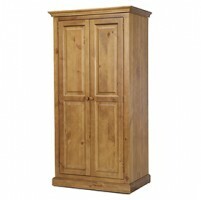 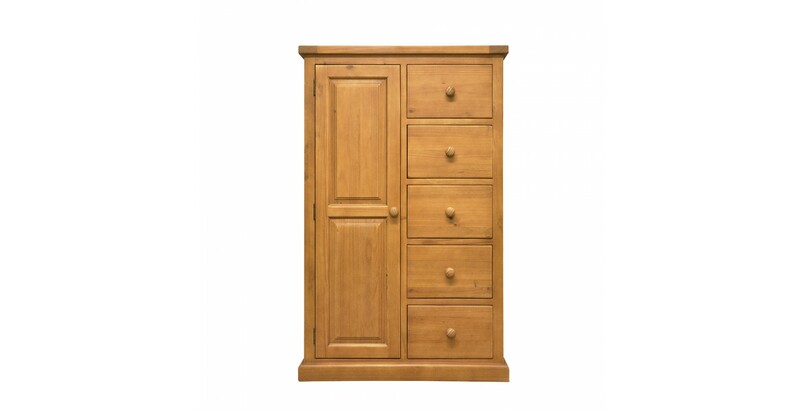 Built from solid pine, this elegant combination wardrobe is built to last and is an essential for any room that takes up less room.